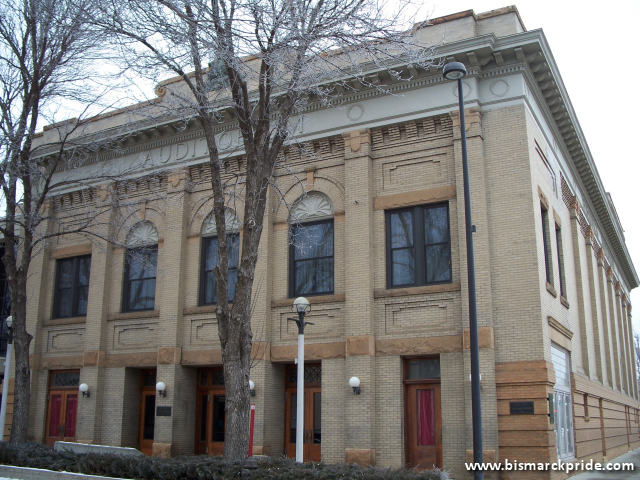 Belle Mehus Auditorium is an auditorium located in downtown Bismarck, best known as the home of the Bismarck-Mandan Symphony Orchestra. The auditorium was designed by local resident Arthur Van Horn and opened in January 1914. The facility took on its current name in 1989, named after a local music teacher. In 1996, the Belle Mehus Auditorium underwent a major renovation at a cost of $2.5 million. President Woodrow Wilson spoke from the Auditorium on October 10, 1919. He was campaigning for his vision of a League of Nations. The Belle Mehus is also referred to as the ‘Bismarck City Auditorium’ or simply ‘The Auditorium’.